Spider-Man is one of Marvel’s most enduring characters. His popularity never seems to fall and he’s constantly the subject of movies, television shows and, of course, comics. 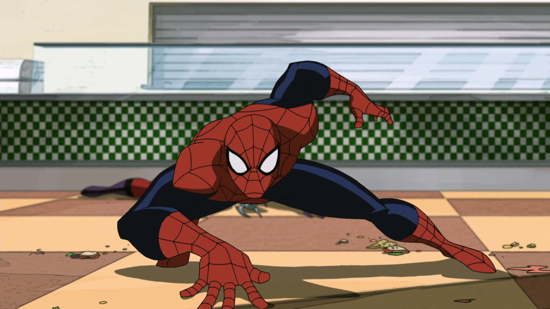 On such TV show is Ultimate Spider-Man, currently running on Disney’s XD Chanel. Spider-Man must lead his team of teen heroes against the greatest assembly of super villains the world has ever seen! Season Two of the hit series ULTIMATE SPIDER-MAN continues as Spider-Man travels to the mystical city of K’un L’un to help Iron Fist fulfill his destiny. But with The Scorpion hot on their tail, stopping at nothing to destroy them, will they make it back to New York in one piece? Click though to watch the preview. Yes, it may seem like a rather cumbersome title for a comic/graphic novel, but Marvel’s upcoming Castle: Richard Castle’s Storm Season still looks pretty cool. In this “adaptation” of Derrick Storm’s second novel, the private investigator is hired to find a missing a woman—but what should have been a routine mission quickly spirals out of control when Storm overhears the woman’s terrifying scream on the wire. Plagued by the victim’s helpless cry, Storm—despite an ominous warning—investigates. Soon, he’ll discover an international conspiracy reaching further than he ever imagined—and perhaps the truth about Clara Strike, a CIA agent the world thinks is dead. Look for Castle: Richard Castle’s Storm Season to hit comic shops, the Marvel Comics app, iBookstore, the Nook Bookstore and more on October 15th. Check out some preview pages after the break. When you happen to be one of the biggest comic book and media companies in the world and you have all these characters you’ve created over the years, it must be difficult to figure out what to do with all of them. 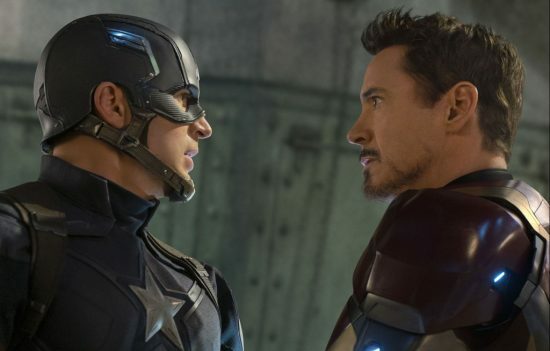 Well, if you’re Marvel, it seems like they’ve found an answer: have them fight each other. Much like they did during the “Civil War” event from a few years back, a bunch of characters from the Marvel U, The Avengers and X-Men specifically, are being pitted against each other in a brand new upcoming comics event. The Avengers and X-Men have learned that the all-powerful embodiment of both death and rebirth known as the Phoenix Force is on a crash course for Earth…and it needs a new host to unleash its immeasurable power. But what is the shocking decision tied to the Phoenix’s return that will pit the Avengers against the X-Men? And when good friends become bitter enemies, what does this mean for the future of the Marvel Universe? That’s right folks, for the first time in marvel history someone other than Peter Parker will be taking on the role of Spider-Man in the upcoming comic Ultimate Comics Fallout #4, which will be released tomorrow. You’ve heard the rumors and followed the story as it developed. Now, it can be revealed that the new Spider-Man is named Miles Morales and he’s a new kind of hero for a new kind of world. Meet Miles Morales, a seemingly normal teenager from New York who will soon discover that with great power comes great responsibility…and even greater danger! But just what are the secrets behind Miles’ shocking abilities? What’s his connection to the original Spider-Man? And just why does he wear that costume? Courtesy of superstars Brian Michael Bendis and Sara Pichelli, Ultimate Comics Fallout #4 begins the story that’ll have everyone talking for years to come! Intrigued? Of course you are. Check out some preview pages for the comic after the jump. Look for Ultimate Comics Fallout #4 in your local comic shop tomorrow and Ultimate Comics Spider-Man #1 on September 14. Happy 5th of July to all you comic book lovers out there. This week sees the release of a bunch of new comics from our friends at Marvel. Of the ones coming out, we’re most interested in reading Fear Itself #4, Captain America & Thor: Avengers #1, X-Men #14, Vengeance #1 and Red Skull #1. As with most weeks, new comics out on Wednesday, so hit your nearest comic book store for best selection as many people may thing today is new comic book day this week. However, with the 4th of July holiday, it may be a good idea to wait until Thursday this week, just in case. Either way, if you don’t know where your nearest comic store is, usse this handy guide to find one. That’s right comic book fans, it’s that time of the week again. New comics time! New comics are out tomorrow from our friends at Marvel and, as always, we’ve got some we’re really interested in reading. Among the new ones coming out, we’re looking forward to Carnage #5, Deadpool #39, Wolverine #11, Iron Man 2.0 #6 and Secret Avengers #14. As with most weeks, new comics out on Wednesday, so hit your nearest comic book store for best selection as many people may thing today is new comic book day this week. Even with E3 and Apple’s WWDC in full swing this week, we haven’t forgotten other cool things that arrive this week. That’s right comic book fans, it’s that time of the week again. New comics time! New comics are out today from our friends at Marvel and, as always, we’ve got some we’re really interested in reading. Among the new ones coming out, we’re looking forward to Deadpool #38, New Avengers #13, Wolverine #10, Ice Age: Alpha #1 and yes, even Ghost Rider #0.1. Hey, we’re willing to give it a shot. As with most weeks, new comics out on Wednesday (that’s today! ), so hit your nearest comic book store for best selection as many people may thing today is new comic book day this week. That’s right comic book fans, it’s that time of the week again. Well, in truth, it was yesterday but better late than never, right? Anyway, new comics are out from our friends at Marvel this week and, as always, we’ve got some we’re really interested in reading. Among the new ones coming out, we’re looking forward to Fear Itself #3, Moon Knight #2, X-Men #12, Uncanny X-Force #11 and SHIELD #1. As with most weeks, new comics out on Wednesday (even with the holiday this week), so hit your nearest comic book store for best selection as many people may thing today is new comic book day this week. That’s right comic book fans, it’s that time of the week again. New comics are coming out from our friends at Marvel today and, as always, we’ve got some we’re really interested in reading. Among the new ones coming out, we’re looking forward to Alpha Flight #0.1, Astonishing X-Men #38, Deadpool Max #8, Uncanny X-Force #10 and X-23 #10. As with most weeks, new comics arrive on Wednesday (that’s today! ), so hit your nearest comics book store early for best selection.